They get double candy because people love it so much. Directions to make it here. 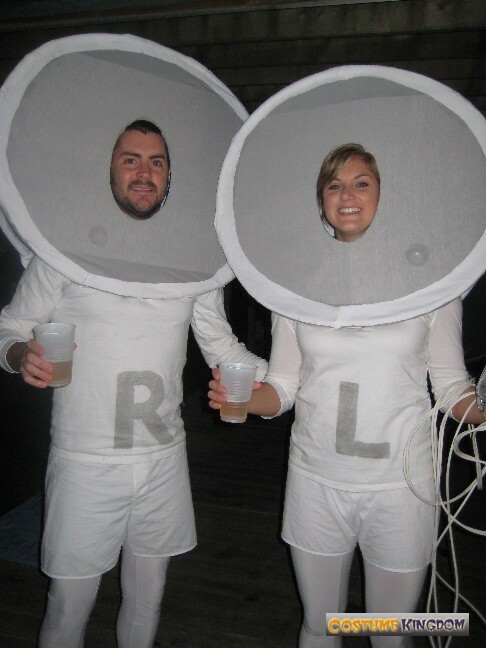 A lovely reader emailed me wanting couples costume ideas. 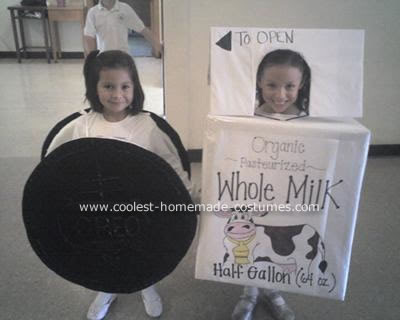 Here are a few I found around the internet….what are your favorite costume ideas you’ve seen? Several years ago two little girls rang my doorbell on Halloween with some black make-up on their eyes. I can't remember what the rest of their costume looked like, but I couldn't figure out what they were supposed to be, so I asked them. They answered in unison, "we're black-eyed peas!" I thought it was a cute idea. Great ideas, thank you for sharing. We have the thing one, two, three and four shirts for our children. We always get lots of laughs. I thought a box of crayons would be good for a large family. I love the washing machine costume! That's one of the best I've ever seen. One of my favorite Halloween memories was when my two oldest boys (now 19 and 17) were 4 and 2. They dressed as soldiers, complete with fatigues, camouflage helmets, and kit bags. We have a photo of them with the 4-year-old saluting smartly and the 2-year-old looking at his brother and trying to salute--but not quite making it. That little 2-year-old is now 6'9", so memories of him as that tiny boy really are sweet! I love the washing machine! Also I am probably ust having a really blonde moment but what are the white tuba things with R and L on them? I honestly cant figure it out!!! I love the washing machine idea! I am going to have to try that out sometime. My best costume ever as a kid was Minnie Mouse. I wish my scanner was working so I could post a picture of it. My mom really went all out! Oh My that washing machine is the CUTEST thing I have ever seen!! LOVE it! Love the washing machine.. :) I didn't know what the things with L & R were either! When my daughter was 7, I made her a pizza slice costume, complete with mushrooms.. it was so very cute. I'll vote for the Oreo kid and milk girl, these are fantastic! Great idea!! I love how you go all out for halloween!! Love the washing machine!! If only I could get my 2 year old to wear that! haha My husband and I did Thing 1 and Thing 2 and thing 1/2 when I was 6 months pregnant. I made my husband and I rubix (sp?) cubes a few years back for halloween...you just need two square boxes, some paint and black electrical tape.